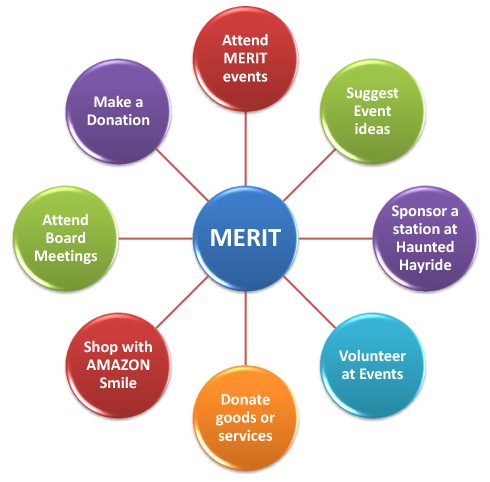 There are many ways to get involved in M.E.R.I.T., and support our schools. We welcome and encourage participation from parents, faculty, and other community members. Here are some ways you can help make a difference. Suggest a fundraising idea. Most of the money M.E.R.I.T. grants to the Millis Public Schools is raised through events like the Haunted Hayride, shopping nights and bunco. We are always looking for engaging, fun event ideas. Contact us with yours! Attend our meetings. Our meetings are held on the second Tuesday of every month, at 7pm in the Veteran’s Memorial Building. Attend our Events. Join us for our fundraising events held once a month throughout the year. Invite friends to join you. Our events give you a chance to try a new activity, socialize with friends and raise money for our children and schools. Click here for information on our next event! Volunteer at our events: We always need energetic, willing hands to help at our events (especially the Haunted Hayride in October). Contact us to volunteer your time. Submit a grant application: Do you have a curriculum-enhancing idea? Complete a grant application (available each November). Shop using Amazon Smile: Follow these simple steps when you shop at Amazon, and they will donate 0.5% of your total purchase to M.E.R.I.T. Sign in to your Amazon or Prime account. You will be directed to the Amazon Smile home page which looks just like the regular Amazon/Amazon Prime page. Place your order and proceed to checkout, where you will see, beneath the “order total” area “Supporting Millis Educational Resource Initiatives Team”. This is how you will know you’ve successfully selected our organization.